Let's first quickly review slope intercept form. All you need to know is the slope (rate) and the y-intercept. Continue reading for a couple of examples! Write the equation for a line that has a slope of -2 and y-intercept of 5. NOTES: I substituted the value for the slope (-2) for m and the value for the y-intercept (5) for b. The variables x and y should always remain variables when writing a linear equation. In the example above, you were given the slope and y-intercept. Now let's look at a graph and write an equation based on the linear graph. Write an equation that represents the following graph. Step 1: Locate the y-intercept. Step 2: Locate another point that lies on the line. 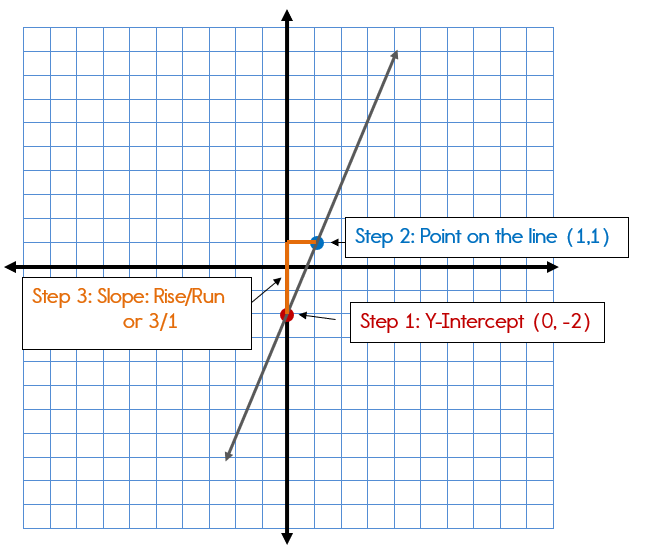 Step 3: Calculate the slope from the y-intercept to the second point. Step 4: Write an equation in slope intercept form given the slope and y-intercept. 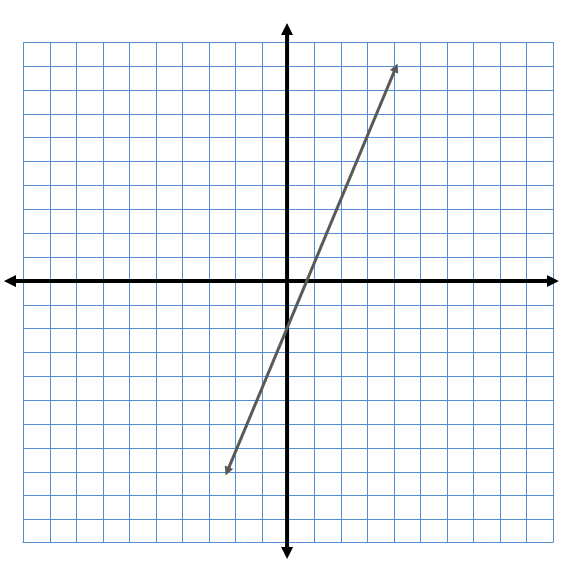 y = 3x - 2 is the equation that represents this graph. Note: You can also check your equation by analyzing the graph. You have a positive slope. Is your graph rising from left to right? Yes, it is rising; therefore, your slope should be positive! 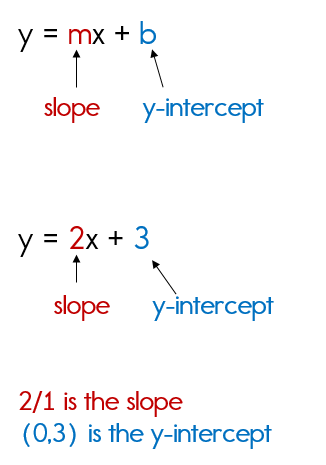 We've now seen an example of a problem where you are given the slope and y-intercept (Example 1). 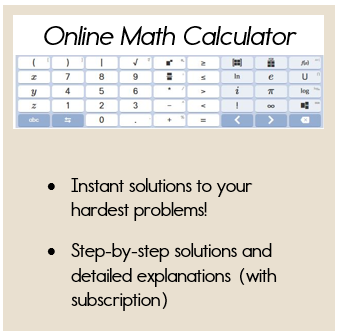 Example 2 demonstrates how to write an equation based on a graph. Let's look at one more example where we are given a real world problem. How do we write an equation for a real world problem in slope intercept form? What will we look for in the problem? When you have a real world problem, there are two things that you want to look for! This number is always related to the x value. "Per" is a key word that is often associated with slope or a rate. 2. A Flat Fee: A flat fee is your y-intercept. This value is a constant or fixed amount. It never changes! Take a look at the examples below to better clarify how this chart can help you. You are visiting Baltimore, MD. A taxi company charges a flat fee of $3.00 plus an additional $0.75 per mile. Write an equation that you could use to find the cost of a taxi ride in Baltimore, MD. Let x represent the number of miles and y represent the total cost. How much would a taxi ride for 8 miles cost? The y-intercept is 3. Since there is a flat fee of $3, this value becomes the y-intercept. It is a constant, a value that never changes. The slope is 0.75. This is the rate per mile. A rate is also the slope. In order to determine this cost, we will need to use our equation and substitute 8 for x. The cost of an 8 mile taxi ride is $9. 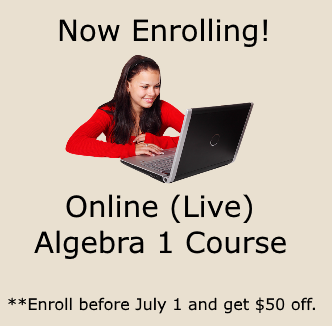 Hopefully you now have the hang of writing equations in slope intercept form. Remember to always look for the slope and the y-intercept.